Common Questions - FAQ | Maine SKi Lodging Co.
How do I reserve or book a short-term vacation rental with Maine Ski Lodging Co.? Complete your reservation using the online booking function on maineskilodging.com or call 207-824-4000 to book via phone during normal business hours. Does Maine Ski Lodging Co. require a security deposit for short-term vacation rentals? All short-term vacation renters are required to purchase CSA Damage Deposit Insurance or provide a security deposit of $1,550. Security deposit, less a $50.00 processing fee, will be returned within 7 days of checkout date if no damages have occurred and all checkout guidelines have been followed. What is the short-term vacation rental cancellation policy? Reservation cancellations outside of 45 days of the Arrival Date will be refunded in full, minus a $150 cancellation fee. No refunds will be issued within 45 days of the Arrival Date unless the property is re-booked by Maine Ski Lodging Co. for the entire length of the original booking at the same total cost. Maine Ski Lodging Co. strongly encourages Renter to purchase CSA Travelers Insurance at the time of booking at a cost 7% of the total reservation balance. CSA Travelers Insurance offers the ability to cancel reservation up to the day before the Arrival Date at no additional cost. Maine Ski Lodging Co. reserves the right to cancel a reservation if Property is booked at an incorrect rate or for dates that are not available for rent. How do we gain access to the property? Prior to arrival we will contact you to arrange for key pick-up and to provide any necessary instructions for checking into the property. Check-ins may occur after 4:00pm on the first day of the reservation and check-outs may occur at 10:00am or before on the last reservation day. Early check-ins or late check-outs must be previously agreed to in writing by Maine Ski Lodging Co. and may only be permitted on days where there is not a turnover at the property. Will I have access to Internet or Cable / Satellite TV? Not all properties have Internet or Cable / Satellite TV access. If you require any service, please let us know prior to completing your booking. 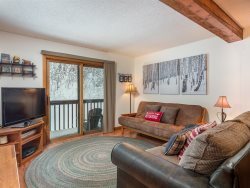 What is a ski-in / ski-out property? Properties advertised as ski-in / ski-out are located at Sunday River Resort and are designed to be accessible by skis provided there is enough snow. Please be aware that we cannot control snowfall amounts, natural or artificial, and if the property is not ski-in / ski-out due to weather conditions, lack of snow or other obstruction, we are not responsible for refund on the reservation. Some of our properties are pet-friendly. Written permission to bring your pet(s) is required from Maine Ski Lodging Co. prior to completing your booking. Are linens, blankets, pillows and towels provided? All properties have an adequate supply of linens, blankets and towels for the maximum occupancy of the property. Beach or pool towels are generally not provided for residential homes but may be provided for Sunday River Condominiums. Properties are stocked with a start-up supply of paper towels, toilet paper, cleaning products, trash bags, hand soaps etc. If additional items are required during your stay you must purchase these items at your own expense. Can we have sleeping arrangements such as RV's or tents on the property for additional visitors? Over-flow sleeping arrangements are only allowed with written permission from Maine Ski Lodging Co. prior to booking. The maximum occupancy for each property is published on maineskilodging.com and included in your Guest Agreement, please adhere to the maximum occupant numbers. Can we have social functions or parties at the property? The maximum number of people allowed at the property at any given time is listed as maximum occupancy. The maximum occupancy for each property is published on maineskilodging.com and included in your Guest Agreement, please adhere to the maximum occupant numbers. What do we do with our trash and recyclables? At the time of your departure, please leave all bagged trash and recyclables in the appropriate receptacles at the property. If during your stay you require emptying of the trash receptacles, please bring bagged trash to the Maine Ski Lodging Co. dumpster located at 16 Parkway in Bethel. If your property is in a neighborhood or condominium complex with trash facilities, specific instructions will be found in the guest binder located in the property. Are fireworks allowed at the property? Fireworks are prohibited from all Maine Ski Lodging Co. properties and may violate local ordinances. Is smoking allowed at the property? All Maine Ski Lodging properties are smoke free and evidence of smoking inside the property will result in immediate eviction and forfeiture of all amounts paid and will result in additional cleaning fees and anything additional needed to return the property to its original condition. Who do we contact with questions or concerns during our stay? If at any time during your stay you have questions or concerns, please call the Maine Ski Lodging Co. in-stay phone: 207-592-0754, we’re happy to answer any questions or address any concerns you may have.